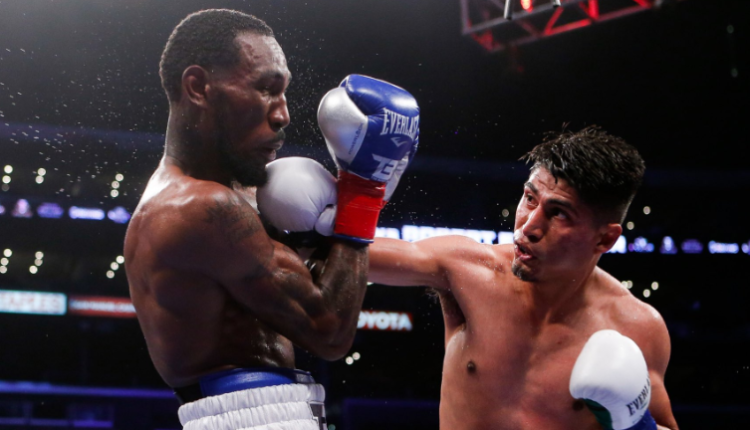 Mikey Garcia has gotten the fight he wanted, as he and Errol Spence will officially announce their welterweight title showdown on Tuesday. A fight that was targeted to happen in the first quarter for Showtime, will now happen on FOX Pay-Per-View, as the network purchased the rights through their new deal with Premier Boxing Champions, which has both fighters under their umbrella. The fight is set to happen on March 16th at the home of the Dallas Cowboys, AT&T Stadium in Arlington, Texas, as Garcia moves up two weight classes to challenge Spence for his IBF welterweight championship in both fighter’s first Pay-Per-View main event. Spence, a Texas native last fought in June in the Cowboy’s practice facility in Frisco, in a stoppage win over Carlos Ocampo. Garcia last appeared at lightweight, winning a unification fight against Robert Easter Jr. this past July at Staples Center, he now looks for his fifth world title in as many divisions on March 16th.